Let’s connect the dots. Obesity is a complex, chronic disease. So says the American Medical Association. Chronic diseases require chronic care to prevent complications. So it makes sense that ongoing care would produce better outcomes. But even better, we now have evidence that chronic care saves money. Amy Ahern and colleagues compared brief, self-help advice to 12-week and 52-week weight management programs in a randomized, controlled trial. For perspective, if a primary care provider addresses obesity at all, brief advice to lose weight is what a patient typically receives. 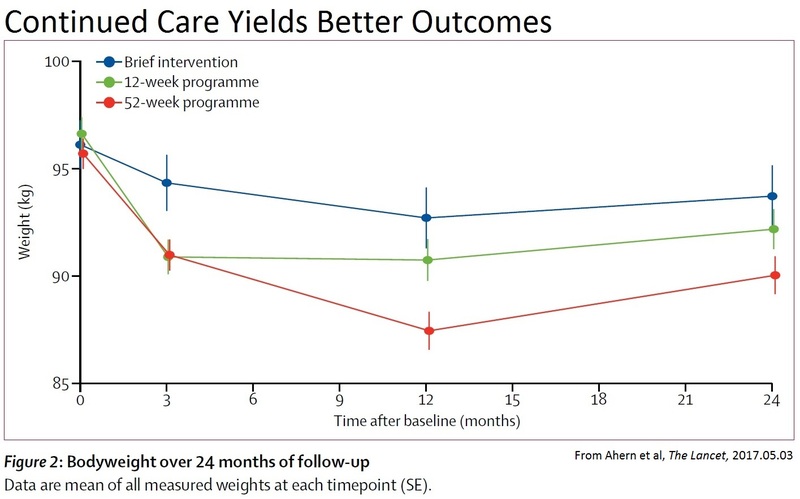 Consistent with prior research, Ahern et al demonstrated that the more intensive program of 12 weeks of care was more effective. The brief advice had virtually no effect. And compared to the 12-week program, the 52-week program produced better outcomes. Both programs were standard Weight Watchers groups in the UK. For people who aren’t used to thinking of obesity as a chronic disease, this might be a surprise. But people who know this condition know better. Quick fixes seldom, if ever work. But the real news here is better outcomes in indicators for diabetes and thus, better value. This is the first study to show that a year-long intervention produces better results than a more standard 12-week intervention. At the end of a year, A1C and glucose levels were significantly better controlled in the group that received the 52-week program. Although the 52-week programme is more expensive in the short term, the programme is likely to be cost-effective in the longer term because of greater reductions in disease incidence. 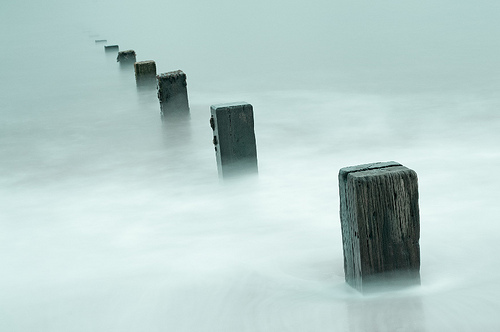 A chronic disease requires chronic care. Ignoring that basic fact of obesity care leads to big bills for the complications of obesity. Click here for the study and here for more from Science Daily. I wanted to say “Duh”, but the important issue for the bigger picture of care for those with obesity is the economics. People care about their pocketbooks. We need more studies including the economic ramifications to help get more support for people with obesity.